As the year comes to an end, students and faculty are beginning to think about the new year. First years about recruiting which will hit them hard in just a couple of days. Second years about what they want to do after business school and how they want to spend the last few months. Admits about what schools to attend and how early to start networking. And everyone else about New Years resolutions, not just at work but also with their friends and families. 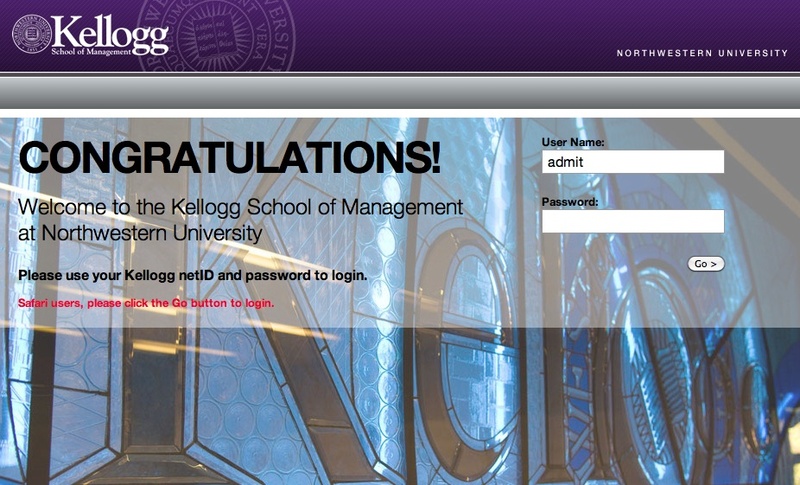 Well, recently Dean Blount at Kellogg sent an email to the school wishing us a nice 2012. Recently Dean Blount of the Kellogg School sent an email to the student body wishing us a great 2012. See below for the email, which includes a video about what Kellogg aspires to do in 2012. At the beginning of 2011, we set an ambitious agenda to reposition Kellogg strategically, operationally and as a brand. Now, we’re ending the year with a nearly complete strategic plan, a newly articulated brand positioning, a new organizational structure, and an architect for our global hub. Our team has prepared a video (CLICK HERE to see the video) that captures our progress. And now as 2011 comes to a close, I would like to thank you and our entire community — for your trust in me and for your belief in Kellogg. It means a lot. It’s out grounded wisdom, its our courageous and collaborative spirit, and its that pioneering vision … that’s Kellogg. There has to be a competitor that challenges the status quo if you really want to stay relevant to the modern world. Issues in the Hispanic community are more important than ever before. Over the past decade the Latino population has increased from about 35 million in 2000 to over 50 million in the 2010, according to census data I found. So not only are there more Latinos around in the US today but more Latinos are also doing great things than ever. 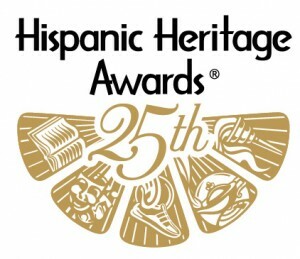 In hopes of recognizing their achievement, the Hispanic Heritage Foundation is hosting a series of award ceremonies around the US. And in late January, one of them will be here in Chicago. 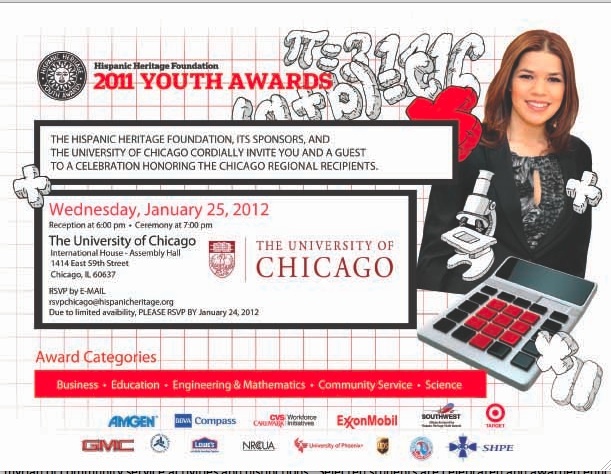 In January, a number of Latino and Latino high school students will attend the Hispanic Heritage Youth awards. Latino and Latina High School juniors across America applied to Youth Awards program, offered and presented by the Hispanic Heritage Foundation (HHF) just months ago. And recently, the 2011 nominees were chosen. They will be awarded their awards here in Chicago on January 28. Recipients were selected for their accomplishments in school, in the community, and one of the six categories: Business, Community Service, Education, Engineering & Mathematics, Healthcare, and Science. In addition to being awarded grants for college, recipients will also be invited to serve as role models for younger peers through HHF programming. What a great program! I look forward to attending along with a few friends that I know from the foundation. I also look forward to meeting some of this year’s recipients and hopefully serving as a resource as they start thinking about attending college. The Hispanic Heritage Foundation (HHF) is a 501c3, nonprofit which leverages programs and influential relationships to meet America’s priorities in the classroom, community and workforce for the Hispanic population. HHF provides role models, cultural pride and a promising future through public awareness campaigns and special events. Additionally, HHF was celebrating their 25 Anniversary in 2011 and is looking forward to a greater impact on the Latino community next year. I’ll be attending this ceremony as an advisor of HHF. Specifically I help Loft (e.g. Latinos On Fast Track) with New Media. LOFT is an initiative of HHF focused on providing workforce with emerging Latino professionals. Not only does LOFT have tens of thousands of members but its also in the process of creating the LOFT social network now, which is how I got involved. In any event, please spread the word about these awards so people you know can apply in future years. And please spread the word about the efforts that HHF is putting forth in the community. Because in the end, Hispanic residents continue to have greater and greater impact on the economy. And with the right leadership for organizations including HHF, the world will be much better off a decade from now. ** Note that this is NOT an open event, and attendance is by invitation only. Happy holidays everyone. I hope that you’ve been able to enjoy the holiday season so far and spend lots of time with friends and family. 2011 has been a great year for many of us, and we certainly have a lot to be thankful for. I’m writing this message to put out a few facts about Management Leadership for Tomorrow, an organization I’m part of that also a good year in 2011. Not only did they continue to build the organization but more importantly they also helped a lot of people apply to graduate school and continue to work toward achieving more success than ever before. MLT formed several new partnerships with leading organizations, including American Express, The Broad Center, Capital One, Genentech, Procter & Gamble and Yum! Brands among others. CLICK HERE for their full list of potential partners. In addition to that, John Rice also did well in 2011, as he was named one of Forbes Impact 30 Social Entrepreneurs. In short, MLT is having a big impact and not just on diverse business professionals but also on business as a whole. And as a result of the success, MLT is looking forward to 2012 and continuing enhancing its engagement with fellows, alumni and the broader population next year, which will be MLTs 10th anniversary year. Stay tuned in 2012 to hear more about what MLT is up to. And as always, don’t hesitate to drop me a line if you have any questions about MLT or any one of its programs. Happy to answer any questions you have. Kellogg Class of 2014: Congratulations on Your Acceptance! To the applicants recently admitted to Kellogg’s Class of 2014, great work. Congratulations on your acceptance! Hopefully you are excited about the opportunity to learn more about Kellogg over the upcoming weeks. As a current student, I can’t say enough about how great the MBA experience is, not only because it’s fun and you meet lots of great classmates, but also because of the professional opportunities that you’ll have available right from day one. But don’t take it from me, take it from the entire student body at Day At Kellogg (DAK) and get a feel for the experience yourself. My fellow classmates and I will all be around to say hello and tell you anything you want to know more about. Likewise the admissions team and student admissions committee members will be working hard to make sure the weekend and the DAK programing is seamless. This year, DAK 1 takes place the weekend of February 9-11, and the experience is going to be priceless. And no, not just because I’ll be a DAK section leader; but also because you’ll have the chance to attend a class with professors like Hennesey and Rogers; you’ll be able to meet more current students than ever imaginable, and you’ll also get to spend the evenings in Evanston and in the city with other admitted students. And no matter what you decide to do when you’re here, be sure to stop by and say hello. I’d love to hear what options you’re considering. Best of luck with the rest of your applications. And best of luck with your final decision. Kellogg’s 25th BMA Conference Website is Live! Hi Everyone: Just passing along information about the 2012 annual BMA Conference. The 25th BMA Conference, “Standing at the Crossroads: Building on the Past to Execute for the Future,” will focus on the convergence of experiences and ideas that will enable the community to make smart decisions in their business and personal lives, and guide them down the correct path in the journey ahead. I plan to attend. We look forward to having you join us at conference! Hundreds of current and future business leaders joined us here at Kellogg at the 2011 BMA Conference less than one year ago. And we expect an even better turnout this year. The theme for the last year’s event was “The Real ROI: Maximizing Investments while Building Communities” and people such as John Rogers from Ariel Capital Management, Terdema Ussery, Dallas Mavericks President and CEO, Soledad O’Brien from CNN were all in attendance. This year’s 25thBMA Conference also will not disappoint. Fortunately, the website and registration page are now live! Likewise, the PANELS PAGE and the TRAVEL PAGE are also live. And they are being updated continually as we learn more about the event. We look forward to sharing more information with you as it becomes available. CLICK HERE for the link to the website and CLICK HERE for the link to the Facebook page. A number of my Kellogg classmates will be there, including me. Further, a number of Kellogg alum as well as students and alum from other business schools will be there too. So what about you … Are you coming? Save the dates: 2/24 – 2/26. 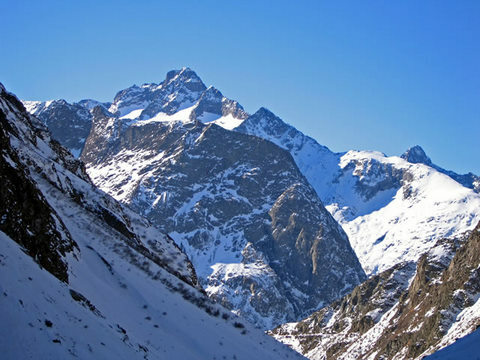 It costs a fair amount of time and money to go on Kellogg’s annual Ski Trip. But for nearly 800 Kellogg student every single year, it’s worth it. You get to have a blast with your fellow classmates right after final exams. You get to hit the slopes on some of the coolest mountains in the United States. And you get to enjoy a number of fun activities every night with some of your best friends in business school. 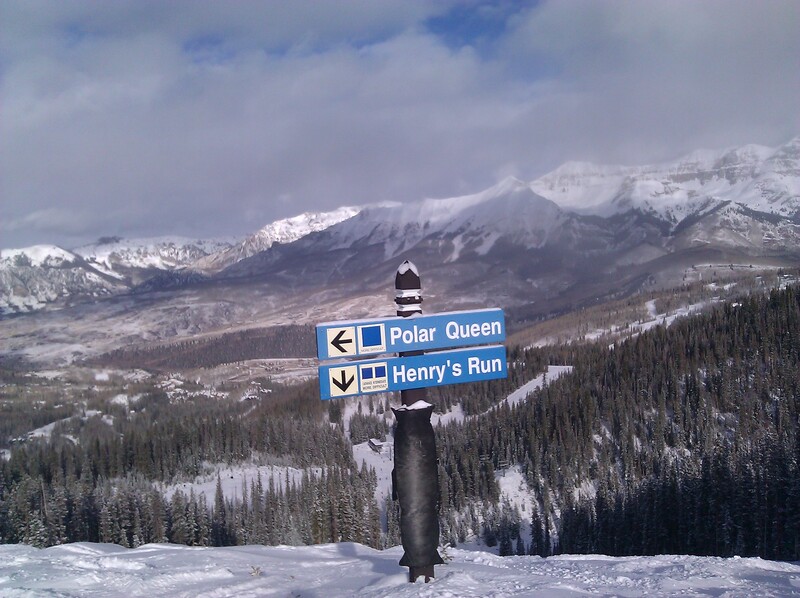 That’s what we did on Kellogg’s 2011 Ski Trip this past week. As a bit of background information about the Kellogg Ski Trip: The Kellogg Ski Trip is the nation’s largest university group ski and snowboard trip across all business schools. Each year, 750 to 800 Kellogg students and significant others travel to a different ski resort, where we take over the town and create our own personal Kellogg ski community. And it’s one of the best events in all of Kellogg. To determine who gets to go, you sign up sometime midway through the first quarter, in Mid October. The lodging signups were handled by an online website and are first come first serve. That means you have to know you want to go and sign up early before the trip sells out, which happens every year. This year’s trip finished up in 20 minutes. And last year’s trip had so many people logging on during the first minute that the system got overloaded. This year’s trip was in Telluride, CO. Another nice location after being in Aspen last year and in Vail the year before that. And what an incredible experience we had! Along with about 775 of my closest friends from the class of 2012 and 2013, we enjoyed a week long vacation on some of the best slopes in Colorado. We traveled together from Evanston to Durango (or Grand Junction) and then drove to Telluride. We formed groups between 5 and 10 and stayed in condos on the mountain with amazing views. We hit the slopes nearly every day (I went out every single day). And in the evenings we commemorated the day of Skiing with Après Ski and then with nighttime festivities after that. The trip as an absolute blast, which is why I went on the big ski trip both years at Kellogg. But don’t worry, if skiing isn’t exactly your thing, there are still lots of activities for you to take part in. There are nightly theme events including the legendary 80’s party. We have daily après ski events, which were my personal favorite part of the trip. And there were daytime activities such as spa treatments, snowshoeing, food pairings, snow shoeing, and more for those people that didn’t want to spend the week skiing. And in addition to all of that, you can also just explore the city, hang out with friends at the base of the mountain, relax in your condo, or do whatever you want to do during the day. And you definitely won’t be alone. And no matter which sets of activities people took part in, we all ended with a great comedy show and a night of dinner (and drinks for some) downtown Telluride on the last night. We rode two sets of Gondolas to get there and got to see what it’d be like to actually be a local. In fact, my group even rode down with two locals. But unfortunately, all good things must come to an end. And just two days ago everyone headed out out. Some traveled back to Evanston on the group ticket and others took flights straight home, rather than stopping back in Chicago. But no matter which route you took, most people agree that this was definitely worthwhile. Not only because they got a chance to have as much fun as ever before but also because they got to do it with some of their best friends at Kellogg and with some of they new friends they met on the slopes. I look forward to more times like this over the next few months in business school. 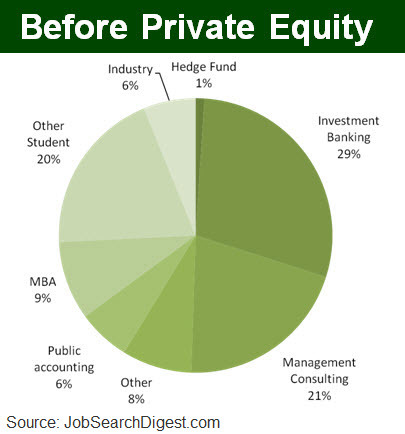 One of the most popular industries at Kellogg is the private equity industry. Not only does working in private equity offer a challenging career path but it also offers the potential to make a big paycheck. Especially for those who are good, make it to the top, and get carry at the firm. The problem is that the firms are very selective about who they hire and when they hire. 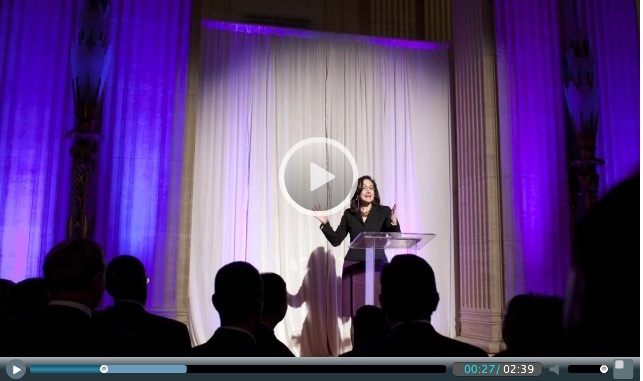 So the question everyone has at Kellogg – how do you get into the private equity industry. The private equity industry one of the hottest industries here on campus. Hordes of my MBA classmates look hard for opportunities to join top private equity firms. They start with firms such as Blackstone, KKR, and Bain Capital but explore a long list of other firms too. Some in Chicago but also lots in New York, the Bay and a myriad of other cities. Many of the people recruiting for these jobs come from jobs in banking and private equity before school. Some work at funds over the summer. And others take Kellogg’s “Buyout Lab” class, that places them in a part time PE role for the quarter to get them more exposure and training. In general, those who work at firms over the summer aren’t guaranteed an offer. In fact, it’s often not even an option. One girl I know never had the option. She had great performance reviews, got along well with everyone, and got stellar feedback. But in the end, she was told maybe reach back out to us next year to see where things stand. Another guy I spoke with yesterday had to re-interview for his job, despite getting outstanding reviews for the summer. He even had to re-meet with the people that gave him the best reviews. But luckily he sealed the deal to go back full time. And a third person got a “maybe” and was asked to keep working throughout the school year to see if things worked out. So he spent 20 or so hours doing that in hopes to land a gig. For some of these students, a Kellogg MBA ends up being their ticket into the PE world. One person I spoke with noted that their strategy was to identify connections from Kellogg (or prior firms) to specific funds and have discussions with them to see if there was a good fit with these funds. For others, Kellogg is more of a two year vacation. They have the experience and connections and now are happy for the opportunity to work less the next couple of years. After all, many of these guys were used to working 75 to 80 hours before school. And for some, it could be anything but a vacation if your job search takes longer than expected. One friend of mine got a PE job just days before the Kellogg school year ended last year. A lot of these people tend to take a lot of the finance classes as it helps with their knowledge set, enhances their recruiting profiles, and puts them in classes with other people that have similar interests. And so as you might imagine some are also really good with Microsoft Excel. In the end, there’s definitely a lot of buzz in the PE world. To get there, you have to learn the language (and learn Excel), take finance classes and recruit in a less traditional way than your classmates. You also have to be willing to face uncertainty and potentially not get a job offer. But on the other end of the spectrum, you could hit the jackpot and land a job where the earning potential could be limitless. Hey Everyone, just a quick message to tell you about a food drive that’s coming up to in Chicago. It’s been going on for the past few years and my friend James from Chicago Booth is a long time volunteer. It’s been run for the past 15 years by his mentor, Bruce Hague, who is President of Commercial Lending at the PrivateBank. At the event, volunteers typically spend time starting at 6am unloading trucks of food and making food baskets for those who cannot afford to buy Christmas dinners. This year’s event will be next Saturday the 17th at 6am. Please see below for more detailed information about the event. Below are few details about the event. Below that is a letter about volunteering. Hope to see you there. The address of the church is 45th and Princeton, and secured parking will be provided. For the past few years, The Private Bank and its employees have participated in raising holiday donations and collecting food for the Fellowship Missionary Baptist Church located on the south side of the city at 47th Street and the Dan Ryan Expressway. The money collected is used to purchase food and basic supplies for needy families in the community during the holiday season. Last year we raised nearly $23,000 and received food donations in excess of $5,000. This allowed us to distribute 1,500 food packages to these families. A sample package would include various can goods, fresh fruit, potatoes and a frozen turkey. This year our goal is to raise $30,000 in cash and food donations to feed 1,600 families. For those of you who participated last year, you know what a worthwhile experience it was to be a part of this process. Last year over 60 volunteers went down to the church at 6:00 a.m. on the day of the event, put together and delivered the packages to the homes of the recipients as well as to several shelters in the area. This is a truly rewarding experience and one where we can actively participate in giving back to our community. We would love for you to participate in this year’s event. The date for the preparation and distribution of the food packages this year is Saturday, December 18. Participants will meet at the church beginning at 6:00 a.m. (you can come later, but need to be at the church no later than 8:00 a.m.). We should be finished by noon. If you wish to donate funds and/or be a participant in this very worthwhile cause, please call Maureen Higgins at 312/564-1262 (x3-1262) or Adriane Schauf at (312) 564-6903 (x3-6903). Donations by check should be made payable to the Fellowship Missionary Baptist Church and sent to either Maureen or Adriane’s attention (Chicago/120 South LaSalle). In addition, many of these families are without warm jackets, gloves, mittens or scarves for the winter months. These items of clothing are also needed and should be in good condition. New toys for children of all ages are always needed. At long last, final exams for the winter quarter/semester are finally over. For first years, it was there first time back in school taking exams again. So for many of them, it was a spring to the finish line the past few weeks. For second years, the academics were a bit easier. We took the right classes, finished a little early, and had a few extra days to relax. But either way, we both have one thing in common. At this very moment, we’re all on our way to ski trip. Today is the start of what is going to be a great week. As I’ve been mentioning in recent entries, the end of final exams has come, and that means that about 800 people here will be headed to Kellogg’s week long Ski Trip, which is in Telluride. And people are quite excited about the trip. But don’t take it from me; take it from Facebook, which makes it easy to see just how excited people are. In fact, on my very first page right now, I see messages like “ski trip coming up!!! !”, “party bus to the airport…. ski trip is on”, “En route to ORD and Telluride – via party bus pumping house music. Sorry for party rocking…” were 3 of the first 5 messages on my Facebook Feed. And the next 10 are all the same. Messages such as, “I’ll pay someone to pack for me…”, “EXAMS ARE OVER!!! 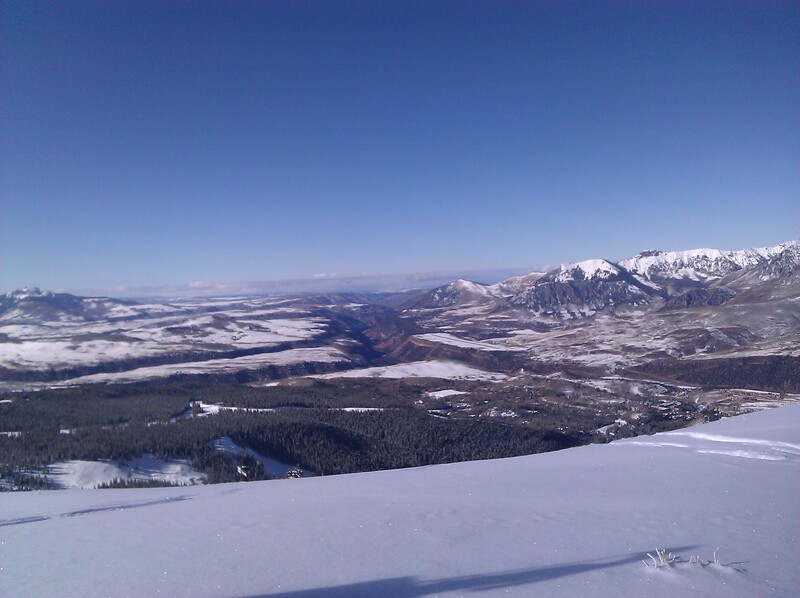 A week of skiing, parties, celebrations and MBA-poker up ahead in Telluride…!! #LifeAtKellogg” and many many more. And it’s only 5am. That’s because early in our Kellogg careers, we’re encouraged to work hard and do the best we can, which means the first quarter can be tough. So once that’s over, precisely the opposite approach comes out and people are ready to let loose and have little more fun. First years really buy into this approach even more than second years. So they buy more ridiculous costumes for the trip. They purchase things like fog machines (which they usually can’t actually use given the altitude … silly first years). And they are preparing for the biggest party of their lives. Second years on the other hand, have a bit more realistic view of the trip. Ready not only for partying but also for skiing, and for being with out good friends again. But no matter which camp you fall into, it should be a pretty good time. Either way, we have to get there first. 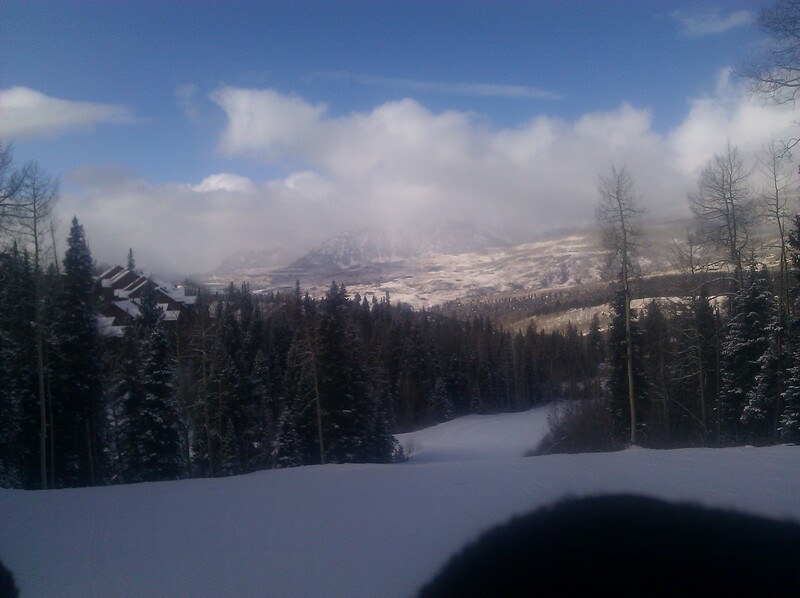 From Evanston to Telluride. This morning, a few hundred people will be going with the bigger Kellogg group. So you bus to the airport and fly with the big group into Durango. Others went to CA first before flying in today. Others flew to Denver yesterday and are driving to Telluride from there. And my group, started in Bozeman Montana, drove to Salt Lake City last night, and will be headed to Telluride bright and early today. It will be a long day of travel for most but should still be worth it in the end. Stay tuned to hear how Ski Trip goes. And in the meantime, check out this video for a sneak peak at the resort we’ll be staying at for the trip. Last year in Finance we spent an entire week discussing the efficient frontier. And it wasn’t the first time it came up in business school. In our MBA classes, we talk about the portfolio theory a lot. The idea is that you can optimize the things you choose to invest in if you can figure out how to balance the risk and return. That you can think about what your tradeoffs are and make decisions possible to maximize profit. Well in some ways those same questions about tradeoffs happen here in graduate school. In business school, I’ve come to find that a lot of people are constantly searching for that efficient frontier. The edge of the parabola where you can maximize risk and reward. The very tip of the Tangent Portfolio where you can look out over the edge and see exactly what’s happening. In some cases you’re searching for more leverage and risk because you want to see if you maximize your profit. But in other cases you’re looking for less risk and more opportunities to take things a bit easier. The concept is simple. At almost every given point in graduate school you have to make decisions. Decisions about what classes you want to take. Which jobs you want to apply to. Which professors to bid on. What clubs you want to join. And if you’re single, what guys/girls you might want to pursue. But in the end, you can’t do all of them. Maybe most of them, but not all of them. It’s impossible. Instead, you have to figure out what combination of things works best for you. That is to say, which combination of things leads you to the best potential outcome based on your interests. The outcome with the most reward. The highest profit. And in MBA lingo, the best return on your business school investment. In our case as MBA students (or JD/MBA students), we all measure reward and profit differently. For many of us, profit is a mix of both social and economic return. So mot only the jobs we get but also the friends we make and the reputations we build. It’s also about the activities we take part in, the experiences we have, and all the other things you could imagine are important. As you might imagine, each student here values these individual elements differently, so you can’t just copy what someone else is doing. Some of us have a lazer focus on getting a specific job. Especially if we were unhappy in our prior careers. Others of us want to increase our networks, make more friends, or do more traveling. Others want to engage in academics since they haven’t been able to do that since college. And then there are some that want a mix of everything. That’s the group that I fall into. And while these tradeoff decisions happen all year long, they become amplified during times like recruiting and finals period, when time is limited, and it feels like more is at stake than ever before. So in those cases, you feel the pressure. Pressure not only to make the right decision but also to do well and get a return the money you’re spending. And you can’t get away with not making a decision. Because if you don’t, you’re position on the scale automatically moves. You return goes down. The risk goes up. And you can feel yourself sliding. Moving toward the edge. About to fall off the side. And if you haven’t decided yet, at that very moment you’ll be forced to. In short, there are a lot of tradeoffs in business school. One thing we sure do get a lot of in business school is business cards. We start collecting them from future classmates before we ever step foot on campus. We get them at company receptions and recruiting events. We get them on industry Treks and at coffee chats. And we get them from guest speakers when they come to class. And after getting hundreds of them just in the past few years the one question that lingers is, how useful are they? I remember when I got my first box of business cards back in 2009. They were white, they had nice Northwestern Law and Kellogg logos, and they got most of us excited about using them to find great jobs while in school. So we put our cards in our wallets and sent out on a mission to give them out to the world. At least initially. Soon after, many of us came to find that business cards have been a lot more useful to collect than they’ve been to give. We spend a lot more time talking to people whose cards we want than with people that want our cards. And we spend a lot of time in business school in the job hunt process, so we’re incessantly seeking out more information. 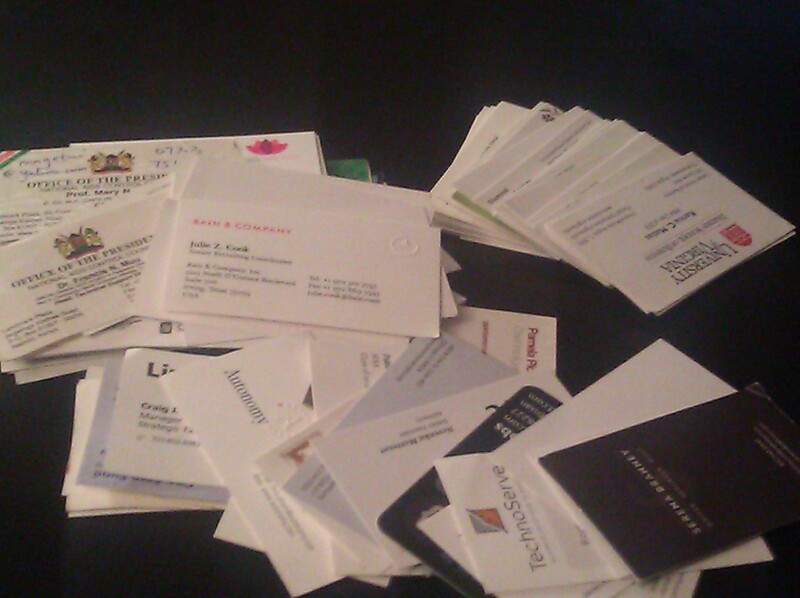 I’m in the final year of my JD-MBA program and collecting business cards has certainly been helpful. I’ve taken them plentifully and given many of my own away. Each one with a promise. The promise to follow-up. A promise to keep in touch. And a promise to connect someone I met with someone I know. Some of those were kept. Others broken. Others still lingering. I’m reminded about how many cards I’ve collected because I just went through a stack of cards that I had on my desk. It’s been so interesting that I’ve decided to get the other stack that sits in my closet. Not only have I come across people that were great professional contacts but also some really interesting ones. Like the a Minister of Health in Nairobi Kenya. The Chief Marketing Officer of Fandango. One of the earliest employees at Redbox. And one admitted student I met at a business school admit weekend in Cambridge back in 2009. Unfortunately, I also found some expired movie passes in the pile which was a bit of a disappointment. I’d been looking for those for a couple of months. In some ways, I’m curious how much longer business cards will last. Despite their usefulness for me and my classmates, today people use the Internet more than ever before. Not only is it faster than using a card but it’s also easier. You can search for someone on LinkedIn to find the information they need. And you can exchange Twitter handles and email addresses faster than phone numbers and at no cost. Even though it’s not the norm today, I can envision a day where it is the norm a few years from now. Either way, if you’re in business school today, you should get ready to collect a lot of business cards. Hopefully one of them will result in a job. Though perhaps more important than what the result is, two years from now they’ll leave you with a few fun memories. It’s that time of year again, when MBA application season is in full swing. Applicants are starting to hear back about Round 1 interviews and admissions decisions. And Round 2 applications are just around the corner. So at this point, just about every applicant is looking for a competitive edge. A way not only be competitive for admissions but also to stand out and improve their chances of acceptance. Well fortunately, there are resources out there to help. And one great resource, Kaneisha Grayson, is helping people is having a great webniar later this week. Hey guys! Just a quick note that my friend Kaneisha Grayson and her admissions company The Art of Applying will be hosting a FREE webinar about its upcoming Story Over Numbers series on Tuesday, December 6 at 1pm CT. So if you’re interested in the topic, I recommend trying to attend. But even if you can’t attend, they will be sending out a video recording of the webinar to everyone who registers, so be sure to register even if you can’t attend. The Story Over Numbers is a six week program designed especially for applicants whose “numbers” don’t quite fit the profile of their target schools. The program includes 4 rounds of editing for 4 schools of your choice, essay starter worksheets to help kickstart and structure your essays, a private members-only message board where you can hang out with other applicants, and weekly Q&A phone calls. Story Over Numbers also includes amazing bonus material such as Kaneisha’s Word Count Weight Loss webinar, a free resume video review and lifetime access to the contents of the program. Sign up soon! 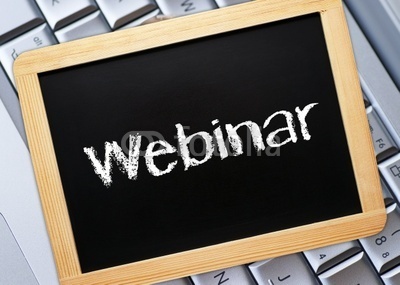 There is limited seating for both the webinar and the exclusive Story Over Numbers program. You can register for the webinar and join the Story Over Numbers mailing list here. While I haven’t actually done the seminar myself, I can say that Kaneisha is smart and also knowledgable about the admissions process. She did well in the process herself and when I met her last year, she had a lot of passion about helping other people be successful as well. So if you have a few minutes, sounds it’ll be well worth your time to see what the seminar is all about. With just one weeks before the end of the quarter and our departure for ski trip, most people here have very busy schedules. Most first year students have four exams next week, starting on Monday. Second year students are wrapping up projects and papers, and also have exams next week. And JD-MBAs are busy taking exams not just at Kellogg but also at the law school, where the final exam period is one week longer. But every weekend before finals week, an edition of the Kellogg newspaper (the Merger) comes out as a small distraction from studying. And for this edition, I was asked to write the piece on the one and only … Steve Jobs. Just yesterday, this quarter’s Merger was released. Throughout this past Merger there were a lot of interesting articles, including one on internship perspectives from first years; another on the Marketing Competition, and even one on Fall Ball. For this edition, I was tapped to write an article about the great Steve Jobs. In some ways, it’s a tough task given so many articles have been written already. But just yesterday, my article came out. See below for the article. And below that for Steve Jobs actual graduation speech. On June 15, 2005, only one day after taking the last final exam in college, I had the special privilege of hearing Steve Jobs deliver our commencement speech. I didn’t know it at the time, but that day Steve would go on to deliver one of the most memorable speeches in modern history. In addition to hearing more about the origins of Apple and his time at the company, we also had the thrill of hearing firsthand how the future “CEO of the Decade” navigated his way to the top and three lessons he thought we should remember for the future. I remember that June afternoon like it happened yesterday. It was just about 8:30 am on Sunday morning. Since most people were moving out the next day, my fraternity brothers woke up early to get started on daytime “festivities” before the ceremony. By 9:00 am, graduating students were already dressed in their “wacky” costumes (think Ski Trip) and were headed over to the stadium. Families, friends and observers were waiting on the edge of their seats in the football stadium ready to begin. At 9:30 am, the gates opened and the Class of 2005 raced on to the stadium field and indulged in their recreational activities. Nevermind that Commencement was only minutes away; and nevermind that Steve Jobs was on deck. For us, the Wacky Walk was one last chance to have some fun on campus before moving out the next day. A few costumes stood out amongst the rest. Nine or ten people dressed up as the campus shuttle. About a dozen players from the women’s rugby team dressed in their championship uniforms. But perhaps the best costumes of all were the four iPods – all different colors and symbolic of the speaker that was about to come. But despite those costumes, a lot of us didn’t fully grasp how big the moment truly was. We knew that Apple was a good company and that a lot of graduates went to work there after school. But that was it. We didn’t know that Apple would eventually become the most recognizable brand in the US. We didn’t know that Jobs would eventually be named the CEO of the Decade. We didn’t know that the lessons from his stories would be repeated for years to come. And we didn’t understand that the sickness he had contracted would persist. But it all changed in the instant Jobs walked up to the stage. He thanked us for listening and gave what would soon be referred to as “The Gettysburg Address of Graduation Speeches.” A speech that would eventually be viewed over 12.5 million times on YouTube. And stories that would capture the attention of all the tens of thousands of viewers that day. In his first story, Jobs talked about “connecting the dots.” He referenced how his biological mother put him up for adoption as a child, how as a student, he didn’t have a dorm room, so he slept on the floor in friends’ rooms. And that he never graduated from college but that coming to give that speech was the closest he ever got to a college graduation. But that looking back, he could connect the dots and see why some of those things made a difference for him along the way. And in his last story, Jobs talked about death. He said that having recently approached death, he learned that you have to avoid the trap of thinking you have something to lose. That “there is no reason not to follow your heart.” A message that resonated with most people in the audience. And in that moment, I thought that I could be just like him. That I could come up with the idea for the next great startup. That I could run a $100 billion dollar company. And that I could risk it all to not only to do something different. And it wasn’t just me. Many of us did. We all believed the dots would eventually connect. One of my classmates was quoted in the newspaper saying that the speech gave her a wave of reassurance. “I was graduating without a job in place, and I felt like a tremendous failure surrounded by all my overachieving classmates. But Steve made me believe that it would all be OK.” Another classmate noted that the speech caused her to change in careers from engineering to a Ph.D in history to follow her passion. And another quit her job at a Fortune company, drove cross-country and applied to film school. And today, all three seem pretty happy with the choices they’ve made. 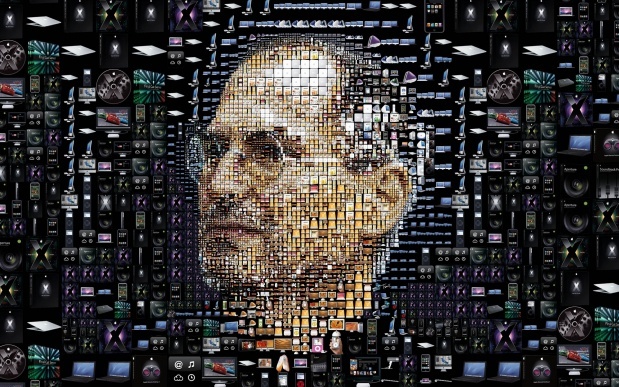 Today, many people question whether Steve Jobs was a great leader or not. The first reaction after his death was “of course he was.” After all, he reinvented and grew an entire industry. He convinced the masses to pay more for a similar product. He created one of the fastest growing companies on the planet. All without having graduating from college. On the other side of the argument, some people suggest that Jobs was hard to work with. That he was too demanding and wasn’t always a team player. And that his laser sharp focus often time resulted in being stubborn and not taking opinions from his team. And that those are not the traits of the best leaders. But no matter which opinion you have, I’d argue that none of that really mattered when we were listening. What mattered was that when Jobs told us his story about how he defied the odds and succeeded, everyone listened. Most were in awe. Others came to tears. And some were inspired to take action that very day. And in that moment, we could sense the untapped potential within each of us. That’s the thing about great leaders. No matter what their weaknesses are, they best ones keep you inspired. They demonstrate a sense of passion that many people lose over the years. They convey a heightened sense of emotion that most people have learned to suppress in the corporate world. They have the audacity to hope that they can make a difference and make the world a better place. And they inspire others to feel the same way. So in some ways at least, Jobs was a good leader. The end of the Steve Jobs era begs one question. Who’s next? Who’s going to be the next one to shake things up? Who’s going to start that business that revolutionizes an industry or the world? Maybe it’s you? Maybe it’s me? Maybe someone much older or younger? Or from another country? Hard to say for certain. But one thing is for certain, that it’s quite possible that we’ve already heard them give a great speech. Maybe at your college graduation like I did. Perhaps during one of your Kellogg classes. Or maybe it will here at Jacobs in the OLC. Perhaps you just didn’t know it at the time. Either way, keep your eyes open. Go to as many events as you can. And attend graduation. Because you never know who the next Steve Jobs will be. The “goals” question remains a centerpiece of just about every single MBA application. What do you want to do when you graduate? What is your career vision? How do you want to change the world? In business school, a lot of people go into traditional careers right after school. But today a greater number of people have broader career interests than ever before. Like coming up with a great startup. Joining a groundbreaking non-profit. And working with an innovative technology company. And so that leads me to the one question, a lot of people are thinking about right now. What can I do with my MBA? Hey Everyone, hope all of you are doing well. As you know, I often like to spread the word, not only about things happening in business school but also about social enterprises, or entreprenerus, that are changing the world. Sometimes world reknowned organizations that you’ve all heard about but other times about up and coming organizations that are having a big impact on their local community. Well, earlier this week Forbes announced 30 entrepreneurs and organizations that are actually changing the world. For the first time in Forbes history, they’ve decided to assembled an all-start group. A group that’s not only doing well in business but also having an impact on the world. 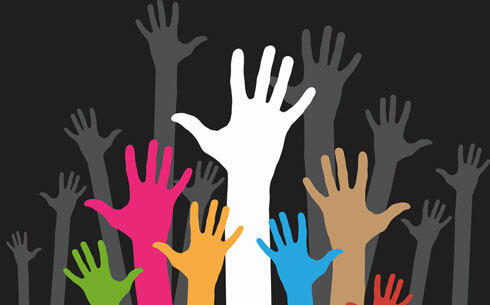 In short social entrepreneurs. Forbes calls them the Impact 30, and they note that they defined a “social entrepreneur” as a person who uses business to solve social issues. What’s interesting is that many of them are MBAs and many from the top programs you are all considering today. The two that stand out most for me today, are Andrew Youn from Kellogg and John Rice from MLT.